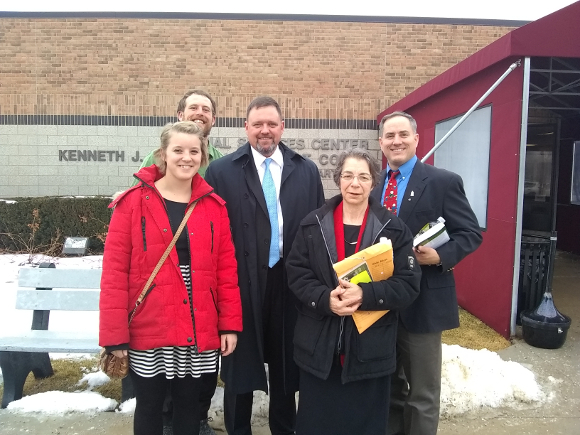 Four pro-lifers who participated in the September 15, 2017 Red Rose Rescue were called “good people” by the judge who presided over their two-day jury trial that took place Feb. 15-16 in a Sterling Heights, MI. court room. Judge Michael R. Rumona praised the pro-lifers for their “good cause”, said that “as a Catholic” he agreed with their “pro-life convictions”—words that came in the sentencing phase of the court proceedings after a six person jury convicted the pro-lifers of trespassing at the Northland Family Planning abortion center operated by Michigan abortion provider Renee Chelian who attended the trial with her daughter, her private attorney Eileen Scheff and other clinic staff. On September 15, 2018 Monica Migliorino Miller of Citizens for a Pro-life Society entered the Sterling Heights, Michigan abortion center with Will Goodman, Matthew Connolly and Indiana State university student Abby McIntyre. 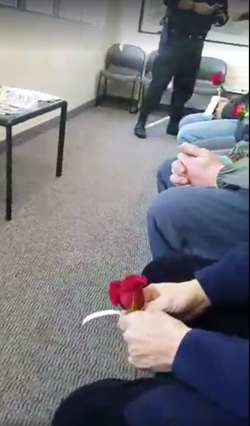 They offered red roses to all those seated in the waiting room and spoke with the mothers seated there just minutes before their unborn children were scheduled to be killed. They offered material help to the mothers, emotional support, words of encouragement hoping to persuade the mothers to leave the clinic and give life to their children. They also remained in the clinic in peaceful solidarity with the unborn about to be aborted as their mere presence served as an act of defense for them. 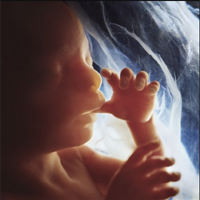 The pro-lifers’ attorney Robert Muise of the American Freedom Law Center asked the judge to permit the “defense of necessity” –a common law defense that says a civil law may be broken to prevent a greater evil from occurring—in this case the greater evil being the killing of innocent unborn children. However the motion was denied because the unborn are not recognized as persons under the law and abortion is a constitutionally protected act thus no injury is caused when abortions are performed of which the judiciary need take notice. During jury selection one prospective juror said that she was a Catholic, said she was pro-life, and that if she knew someone was getting an abortion she would talk them out of it. 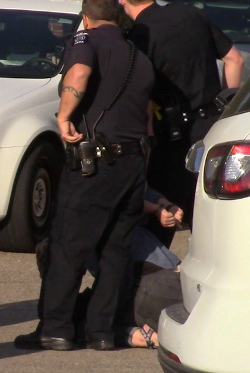 Prosecutor Don DeNault could have struck her from the jury, but rather amazingly he did not and she was seated. Nonetheless she wound up voting with the other five jurors to convict the pro-lifers. The jury panel consisted of six jurors and one alternate—but the alternate was removed from the jury by a blind lottery just prior to jury deliberation. The juror who left the panel came back into the court still eager to know the outcome of the case. He told the pro-lifers that had he remained on the jury he would have voted to acquit, no matter what the others wanted to do. The juror, whose first name was Vince, explained that his wife was pregnant with their second child and he also said that a picketer was outside of the court earlier that morning holding a sign of an abortion victim and he had been very moved by the image. Needless to say the defendants were disappointed Vince did not remain on the jury. Attorney Robert Muise intends to file an appeal and will ask the higher court to stay the two year probation pending the outcome of the appeal. Northland Family Planning abortion center kills the unborn through the 24th week of gestation. 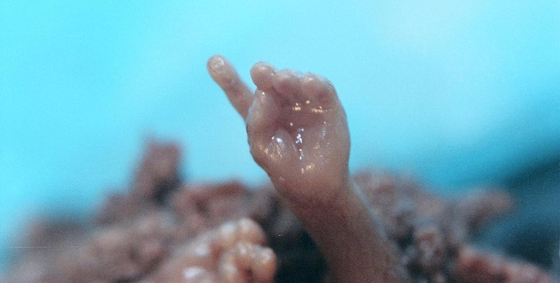 This is hand of baby aborted at 20 weeks. The next trial for Red Rose Rescuers Monica Miller, Will Goodman, Matthew Connolly, Patrice Woodworth and Robert Kolavy will take place Tuesday Feb. 20th, in the 48th District Court, 4280 Telegraph Rd, Bloomfield Hills, MI before Judge Marc Barron, beginning at 8:30am. Red Rose Rescuers Fr. Stephen Imbarrato, Joan McGee and Julia Haag will go on trial June 25, 2018 in Superior Court of District of Columbia, 500 Indiana Ave. NW, before Judge Frederick Weisberg.